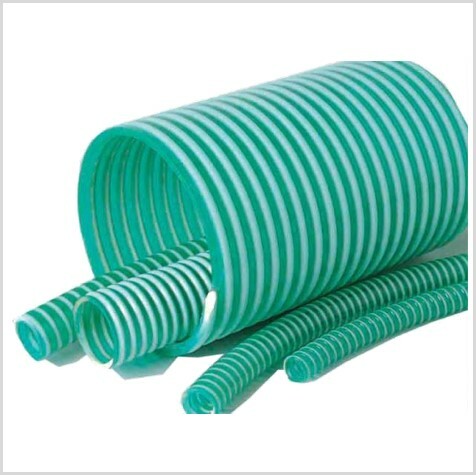 PVC Green Suction Hose is ideal for high pressure applications in industries. These pipes are used to transfer liquids like water, acid, solvents and also can withstand high pressure of compressed air. 3/4" 1" 1.1/4" 1.1/2" 2" 2.1/2" 3" 4"